I am an adaptable, deadline-oriented, and absurdly thorough copy editor with strong skills in proofreading for style and sense. 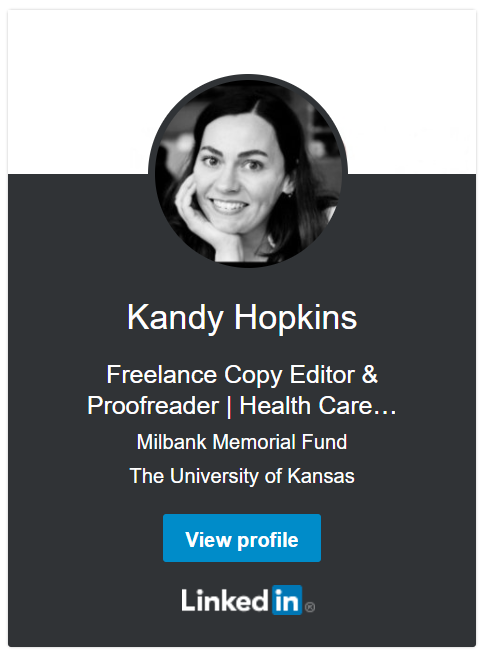 Thanks to 20 years of experience as both an in-house and freelance copy editor, I provide the much-needed, no-nonsense assurance that your publications are as error-free and professional as humanly possible. I offer three editing services—Proofreading, Copy Editing, and Substantive Copy Editing—and several full-issue Editing Packages (download my Services & Packages sheet for more details). Please note that it’s absurdly hard to showcase my editing skills since very few people want me to share a red-lined proof of their work that shows every tiny error. (Go figure.) To get an idea of my abilities, see the selected endorsements on this site (you can read several more on my LinkedIn profile) or contact me about editing a short sample (1,000 words or less). Adobe Acrobat Reader. I proofread PDF layouts using Adobe’s Comment Tools and proofreading marks stamps to mark corrections. Proofread only; no copy editing is done in PDFs. Adobe InCopy. For proofreading and light copy editing, I use InCopy’s Track Changes to record corrections. Microsoft Word. Suitable for all levels of editing—from proofreading to Substantial Copy Editing —I used Word’s Track Changes and Comments features to record corrections and query the managing editor and/or author. Google Docs. Good for real-time proofreading and copy editing, I use Google Docs’ Suggesting Mode and Insert Comment features to record corrections and query the managing editor and/or author. Resume. My resume formatted in the traditional layout. Services & Packages. This document details a short background, the services I perform under each editing tier—Proofreading, Copy Editing, and Substantive Copy Editing—and what’s included in each Editing Package.